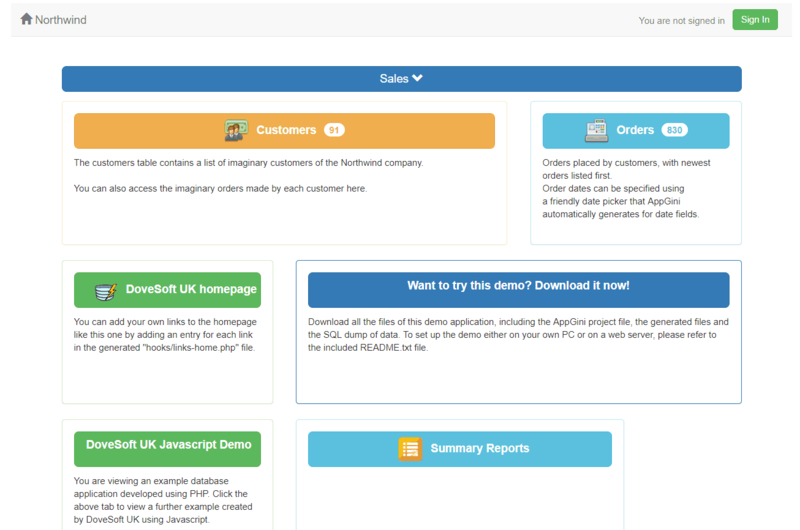 Below is a screen shot of the Dovesoft UK demonstration database. The database is based on the Microsoft Access Northwind database. Click here to visit and test the full interactive version of the database.